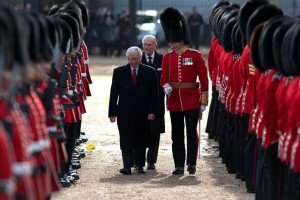 A newly-revived Royal Commonwealth Society of Singapore will encourage new innovation-focused Commonwealth Scholarships for Singaporeans to study in the UK, announced HM The Queen last week, during a state banquet in honour of President Tony Tan Keng Yam. The scholarships will enable more leading Singaporeans to come to the country to complete their education. Singapore already has several notable Commonwealth Scholars, including former Speaker of Parliament Abdullah Tarmugi and former Attorney-General Professor Walter Woon. More scholarships, alongside private sector sponsorship, will help to increase their number. The UK Department for Business, Innovation and Skills (BIS) is supporting the revival of the Royal Commonwealth Society of Singapore, in recognition of the UK and Singapore’s historic ties and longstanding common support for the Commonwealth, and to foster future collaboration. Singaporeans in the Society will be involved in the advertising and selection process for the new scholarships, alongside the CSC. As well as their focus on new Commonwealth Scholarships in innovation, the revived Royal Commonwealth Society will also help to continue Singapore’s ties to the Commonwealth, supporting future academic and other opportunities related to the Commonwealth as they arise.